With app stores flooding with new apps everyday, sustained user base growth is a continuous challenge.According to Go-Globe, 85% of people prefer native mobile apps over web apps. However, it is difficult for new users to understand how to navigate and get the most from your native app. Your mobile app development project is not completed witht the launch, in fact launch is just the first step in the process of becoming a successful appreneur with submission and launch on app store. To become a successful appreneur, it requires more than just app development. 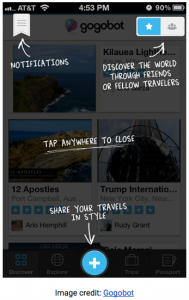 App onboarding is a user’s first impression of your app. When it is defined promptly, it increases the successful adoption of your mobile app. Among the few installed apps, there are still some that the users have opened just once and never returned to. We all have those apps, simply present there and using a major load of our precious phone memory, don’t we? After a few days or months, finally, we uninstall the app. You definitely don’t want your mobile app to be one of those, do you? The initial experience of the users with your mobile app will determine whether they will retain or if they’ll immediately scoot and keep searching the app store for something else. If the first experience of the user with your mobile app is not a pleasant one, you can be rest assured that the user is not coming back. Here’s where app onboarding plays a vital role. Let’s explore the aspects of mobile app onboarding. Why do you require App onboarding? The app onboarding process showcases your app’s value by highlighting the key features of your app. It allows the businesses to optimise a user’s first interaction by creating an engaging first-time and positive user experience. Users quite often lose interest when an app is confusing and difficult to navigate. Utilising app onboarding helps make the first-time user transition as seamless as possible, minimising potential pain points. According to a case study conducted by Slice, it was found that retention rates went up by 50% after implementing a solid onboarding process. This approach defines the functionality of the app without explicitly guiding the users to use the app. This will add value to the users and encourage conversion. This approach teaches the user how to use the app while focusing on the core functionality of the feature. Function-oriented onboarding demonstrates users how to get started and how to perform common actions. This approach is based more on the progress of the users as they gradually navigate through the app. The information displayed on the screen at the time is in relevance to the page the user is on. The Signup process should be warm in tone, simple and quick. When possible, always give users the option to sign in to your app through existing social media accounts like Facebook, Twitter, or Google. 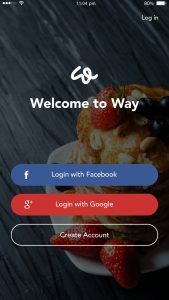 A mobile app user will always be motivated to signup with easy one-step process instead of filling the signup forms and going through the registration and verification process. However, even if you choose to give an option on a manual signup, try to be adaptive to a more simpler form and a better and quick user verification process. It is always nifty to thoroughly understand the users’ need before presenting your solutions to them. 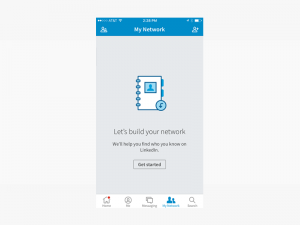 First-time users might require guidance to operate your mobile app. However, overloading the users with information will be unnecessary and will create confusion among the audience. Instead, be simple and start with your value proposition. Furthermore, move on to basic functionality. You can always showcase less essential features later through the use of in-app messages. Avoid text-heavy explanations and instead, opt for screenshots and illustrations to get the idea clear to the user. After congratulating or welcoming your users, consider including a direct call-to-action at the end of your onboarding. Getting users immediately involved in your app helps them continue to grow as engaged users. Moreover, it allows them to get excited about your app. What’s more to app onboarding? In many cases, you won’t be able to explain all the functions to the users within the onboarding process. Being into the field of mobile app development, we would suggest that video tutorials can be helpful to further explain more features. This is especially handy for more complex functionality that might be difficult to explain with coaching screens or illustrations. If you have an innovative app idea in we would be glad to hear it. And if you already have developed your mobile app and implementing the onboarding techniques, we would be happy to hear your app experience. Write us an email at info@letsnurture.com to share your ideas, thoughts and experience.